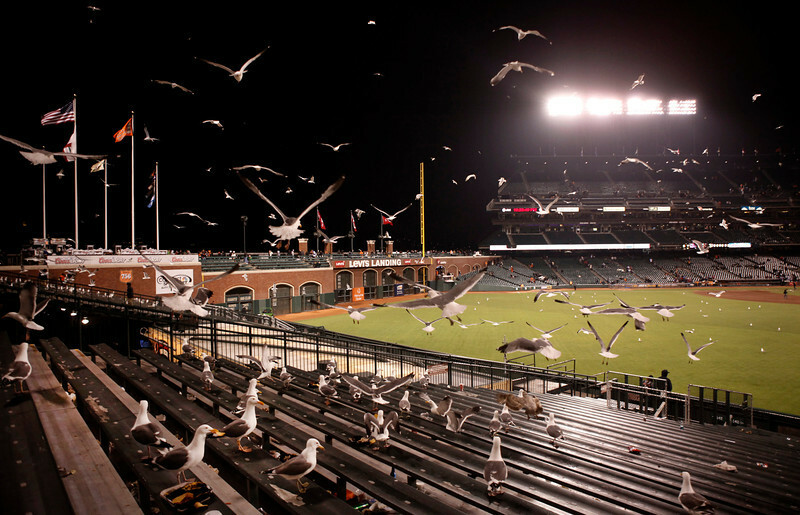 Even the sea gulls are throwing the struggling San Francisco Giants for a loss this year. Giants officials trying to find humane solution to the worsening onslaught of the birds at home games are stumped, the San Jose Mercury News reported Saturday (http://tinyurl.com/kat6ovo ). Federal law prohibits shooting the birds, and hiring a falconer to scare them away would cost $8,000 a game, said Jorge Costa, the Giants' manager of operations. The Giants are also concerned a falcon could gruesomely kill a sea gull in front of families and a television audience, Costa said. AT&T Park is indeed a jewel of a ballpark but it's nice to see stadium issues perturb the charmed franchise that has won two of the three past World Series. Of course, knowing the Giants' luck, one of those seagulls will probably block an opponent's home run ball during a crucial game and then Sabean will sign another washed-up hack who will turn into Babe Ruth for the playoffs. How long before they start blaming their poor play on the birds? The birds aren't coming to eat the food. They're coming to defecate on the Giants. I want a photo of the Dodgers banner waving high on top of the flagpost at that "park" when we take the lead in the West. Sweet! Dare I say it...They are obviously for the birds.. 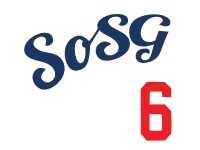 Going to the game on Friday, will try to make that photo happen.